Last weekend I covered Defcon 16, the world's largest hacker convention for Wired.com's Threat Level blog. Like last year, I was paired with Kim Zetter, one of Wired's best writers and an all around cool person. 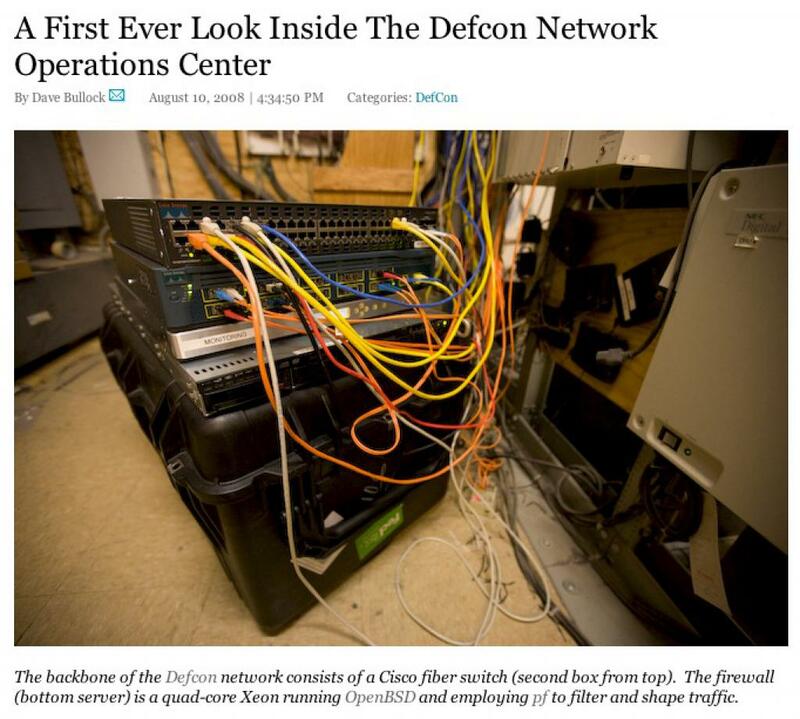 The Defcon NOC piece ended up on the front page of Slashdot, Gizmodo, Hack A Day, BoingBoing and more. Some of the other pieces I wrote also got picked up on various other sites. I had a great time this year at Defcon, it was my 8th Defcon and I can't wait for next year. I'm looking forward to working with Zetter again and getting another tour of the NOC! Wired.com piece in which I toured the Defcon Network Operations Center.